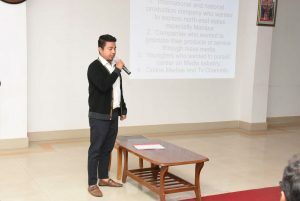 Young entrepreneurs in Manipur on Thursday made power point presentations to unleash their potential, talents and entrepreneurship skills in front of chief minister Nongthombam Biren Singh and consumer affairs and food & public distribution minister Karam Shyam as part of StartUp Manipur. The entrepreneurs made the presentation as part of their interview for the second round of StartUp Manipur at the Durbar Hall of chief minister’s Secretariat on Thursday. Additional chief secretary (Labour and Employment) Dr Suhel Akhtar, principal secretary (Commerce and Industry) P Vaiphei, principal secretary (Finance) Rakesh Ranjan, commissioner (Planning) Sumant Singh, Planning Department director Dr Munindro, officials of Planning Department and other experts were also present at the interview. The day’s interview began from 11 am and continued late afternoon for the second round of StartUp Manipur, official sources in Imphal said. Each applicant was given three minutes’ time to present their proposals through power point presentation which mainly focused on objective/concept of their project, location, required financial assistance, scale of work, market, employment generation and expected annual income etc. In all around 4000 applications were received online seeking assistance from the Government in the second round of StartUp Manipur, it added. The StartUp was introduced to provide financial assistance for educated and hardworking youths/entrepreneurs of the State to promote self employment and entrepreneurship. 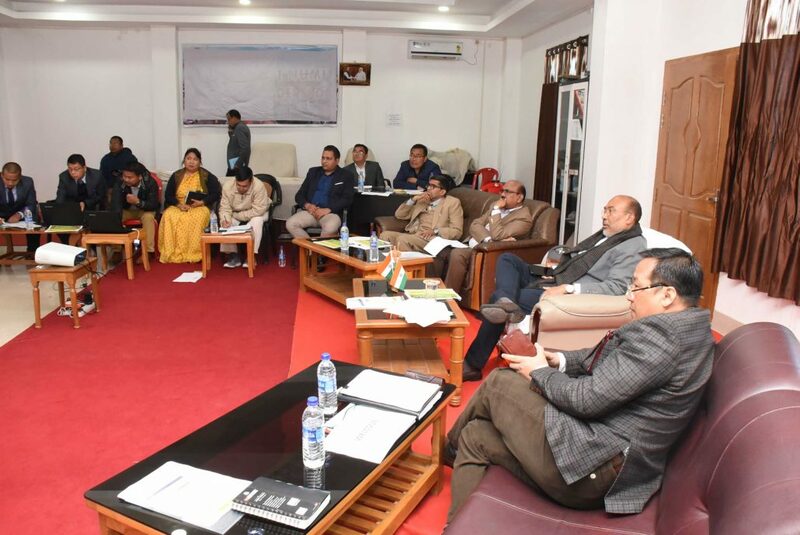 A high level selection committee headed by chief secretary Dr J Suresh Babu would interview the shortlisted applicants/entrepreneurs of the Revenue Stage and assess their project proposals in a transparent manner till February 11. It may be mentioned that 334 entrepreneurs were reportedly given benefit in the first round of StartUp Manipur which was introduced to provide financial assistance for educated and hardworking youths/entrepreneurs of the State to promote self employment and entrepreneurship. Manipur Startup Conclave 2018 was held in Imphal on August 8 last year. The scheme is proposed to be implemented with a financial assistance of Rs 150 crores in the next five years starting from 2017. Out of the total 334 start-up/beneficiaries, 29 start-ups were selected under Revenue Stage Start-Up, 200 in beneficiaries in Idea Stage and 105 beneficiaries in Entrepreneur Support Scheme category.